You are comparing apples to oranges, bananas and cherries. Nuclear units are base load, intended to run at full output when available. Hydroelectric plants have different classes. One is for base load, with the plant sized for a close match to available hydraulic energy. Some are mid load, for the lack of better term, designed at a capacity of two times or more of available energy, designed for operation during the day and off overnight. Finally, there is a class of peaking plants with a capacity of four or more times the available energy, designed for peak hour operation and/or reserve to cover generation losses until replacement sources can be started. Therefore, their energy production would never match a base load plant. Nobody is comparing apples to oranges or other fruits. What I do is calculating the ratio of the annual energy production to the installed capacity for two different production modes. I am aware that there are various types of hydroelectric plants. It goes without saying that their production patterns can be very different. 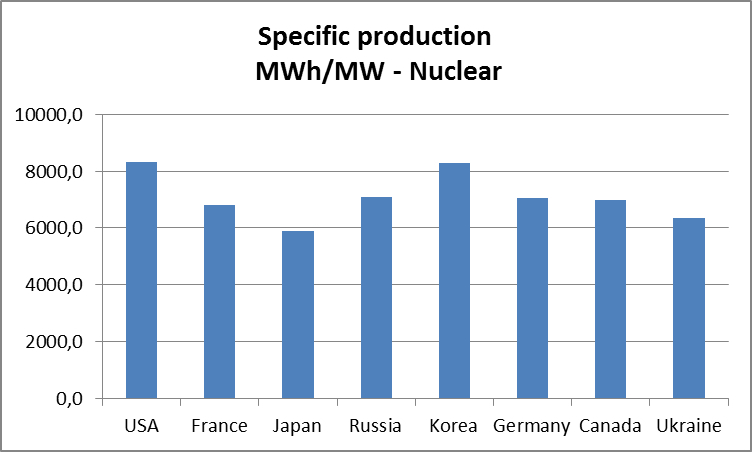 Likewise we have to admit that not all nuclear plants are to be treated equally. Their output, too, may vary considerably depending on maintenance periods, reactor types etc. My consideration was never intended to go into that much detail. 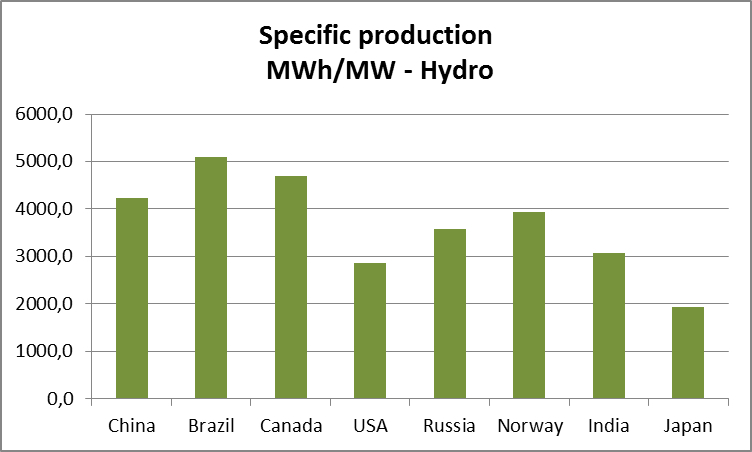 On the contrary, by looking at a more global picture we may get an impression of how much production we may expect from different energy sources. That kind of knowledge is essential when it comes to planning energy strategies at national level. Similar considerations on renewable energies will soon follow.